Signed and dated 1445. 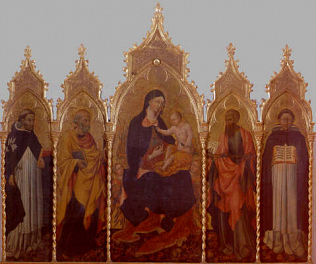 Originally (1904) at the Uffizi, it was transferred to the Pitti in 1954. In 1955 it returned to the Uffizi.